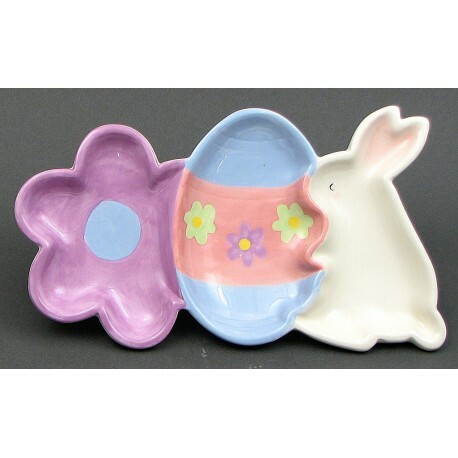 Ceramic Easter Bunny divided tray painted various colors. Great for those easter candies. Hand wash only. Measures 9 1/2" L. x 5 3/4" H. x 1" D.